For my first series of posts, I have decided to focus on an unappreciated vSphere product, vCenter Orchestrator a.k.a. vCO. Although vCO is still quite unknown, this product is worth using and a really powerful tool. VMware vCenter Orchestrator is a workflow software that helps automate your IT service delivery by automating common administrative tasks: to understand how and why vCO can help you in the journey to Infrastructure as a Service, take a seat and let’s read that article! It seems that VMware wants to rise vCO’s importance: the recent release of the new VCAP-DCA Certification Exam includes a dedicated vCenter Orchestrator section in the blueprint. This is the first post in a series of 6 blogs articles about VMware vCenter Orchestrator (vCO). On the road to a fully automated datacenter / cloud, you have multiple steps: usually, you begin first by automating repetitive administrative tasks before going further and creating an autonomous self-healing infrastructure. VMware vCenter Orchestrator lets you create workflows that automate activities (such as provisioning virtual machine, performing scheduled maintenance, initiating backups, and many others). 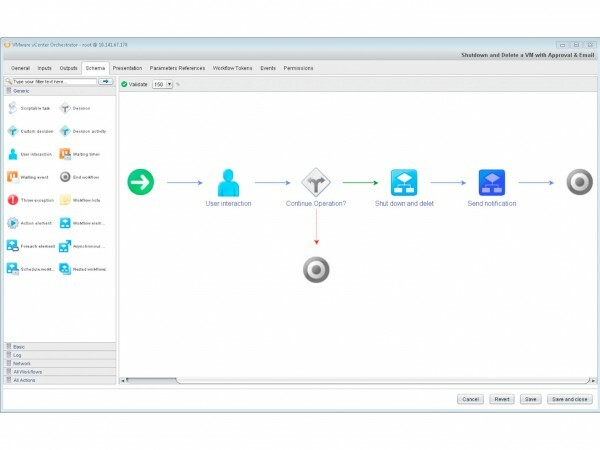 You can design custom automations based on vCenter Orchestrator out-of-the-box workflows and run them from the workflow engine. VMware vCenter Orchestrator is a development-and process-automation platform that provides a library of extensible workflows to allow you to create and run automated, configurable processes to manage the VMware vSphere infrastructure as well as other VMware and third-party technologies. 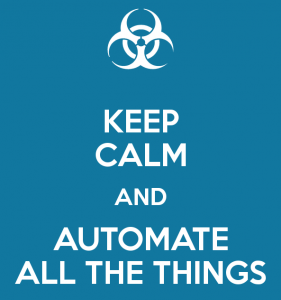 Orchestrator exposes every operation in the vCenter Server API, allowing you to integrate all of these operations into your automated processes. Orchestrator also allows you to integrate with other management and administration solutions through its open plug-in architecture. Besides providing 100% coverage for vSphere and vCloud APIs and a tight integration with VMware portfolio in general, vCO can integrate functions coming from third-party IT operations software via plug-ins, meaning that vCO can be used as a vendor-agnostic workflow engine. Note: you can find the available plug-ins for vCO on VMware Cloud Management Marketplace. More than 500* pre-built actions and workflows for vSphere and standard protocols (HTTP-REST, SOAP, JDBC, SSH, SNMP, email, etc.) are integrated out-of-the-box with vCO. These pre-built workflows can be run just like that or re-used in your own workflows. for Standard version of vCenter, vCO runs in Server Mode: you can run and edit workflows. At the time of this writing, current version of vCO is 5.5.1 and was released in March 2014. Note: even if I will focus on the latest version of vCO, the general concept remains the same throughout the different versions. vCO connects to a directory services server to manage user accounts, and to a database to store information from the workflows that it runs. You can access Orchestrator and its workflows through the Orchestrator Client interface, through a browser, through Web Services, etc. open plug-in architecture with many existing plug-ins for various vendors/editors: you can run workflows on the objects of different technologies that Orchestrator accesses through a series of plug-ins. But Orchestrator offers many other benefits: policy-based engine, version control, scripting engine, exceptions handling, plug-in SDK (any vendor/editor can write its own plug-in), debug capabilities, multiple possibilities to launch a workflow, etc. As you can see, scalability should not be a concern in most infrastructures. However, VMware always provides capabilities to deploy and manage huge infrastructures and vCO is not an exception to that rule: you can deploy vCenter Orchestrator in cluster mode to scale your orchestration capacity along with the growth of your infrastructure. By default, the vCO server runs a single instance in Standalone Mode, but you can set up Orchestrator in Cluster Mode to increase availability or for scalability reasons. With Orchestrator in cluster mode, multiple active and/or inactive vCO instances with identical configuration share one external database. While the active nodes are vCO instances that run workflows and respond to client requests, the rest of the cluster nodes are inactive and in “waiting mode”. As soon as an active instance becomes unresponsive, one of the inactive instances can take over and complete the workflows that were running on the failed instance without service interruption (by using the checkpointing mechanism of the workflow in the database). Two different modes are available in cluster mode: Active-Active or Active-Passive. In order to fulfill the requirement of having similar configuration across all vCO instances in the cluster, you can export/import configuration or simply clone the VM if you are using the virtual appliance. OK, Orchestrator seems to be a nice product, but…for who and what for ? And what are the caveats ? provide intelligence to your infrastructure. Theoretically, your imagination is your unique limit (just as your available time): you could create a fully automated self-healing infrastructure, or define complex processes to interact with the multiple entities/teams of your company if you have enough time and resources. dependencies and compatibility of entities/plug-ins compared to vCO version. Where are the other five articles? I’ll try to do it during this summer.